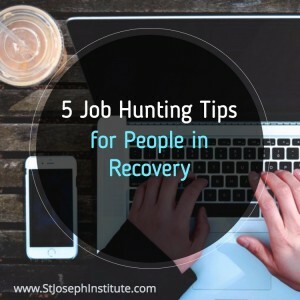 Job hunting is never an easy process, but people in recovery face some distinct challenges. From the need for a flexible schedule to explaining a spotty work history, landing a new position while in recovery will require careful planning and preparation. Daniel Krasner, Summit Behavioral Healthcare’s Assistant Vice President of National Business Development, has a unique perspective on the post-recovery job search. He launched his own successful career after receiving addiction treatment and has helped fill multiple marketing and sales-related positions. Recently, Krasner volunteered to share some advice for job seekers in recovery. Krasner believes your recovery shouldn’t be mentioned in your resume or cover letter. Employers only need information that’s relevant to your ability to perform specific job duties. Seeking addiction treatment is nothing to be ashamed of, but people in recovery have different levels of comfort when discussing their sobriety with others. To a large extent, how much you share is a matter of personal preference. Wanting to protect your privacy is understandable, but it’s vitally important that you tell the truth when asked. Although a potential employer isn’t entitled to know every detail about your addiction treatment, the issue becomes relevant if you have a criminal record from your addiction or were terminated for addiction-related performance issues. Lying about your background will lead to automatic termination for most employers, regardless of whether you’re fudging your educational credentials or omitting the fact that you have a DUI and a possession charge on your record. Rejection is unfortunately part of the job search. This can be hard for someone in recovery, as it may trigger feelings of being not good enough or unworthy of success. However, successful job seekers are those who can turn rejection into a new opportunity. When it comes to your post-recovery career, you can’t expect to land your dream job immediately. Change takes time, so patience is a virtue. Treat your job search like a full-time job, be strategic, and stay confident in the belief that you’ll eventually find a position that’s right for you. To learn more about our programs or for a campus tour of St. Joseph Institute, please visit our website.